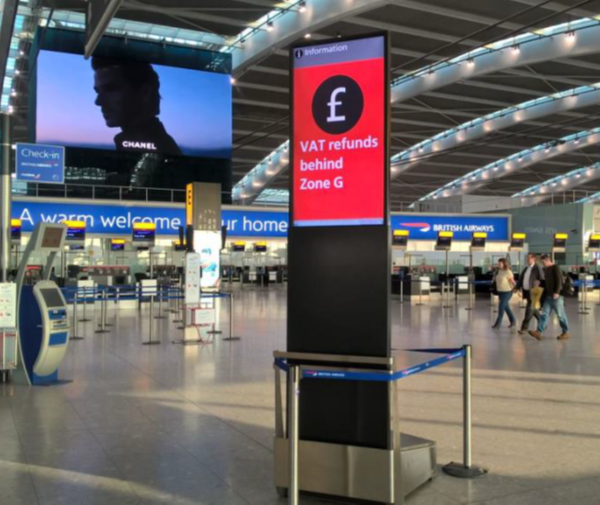 Airports are constantly challenged to offer a secure yet enhanced experience to their passengers, discouraging confusion or anxiety during the travelling experience, whilst remaining profitable and attractive. 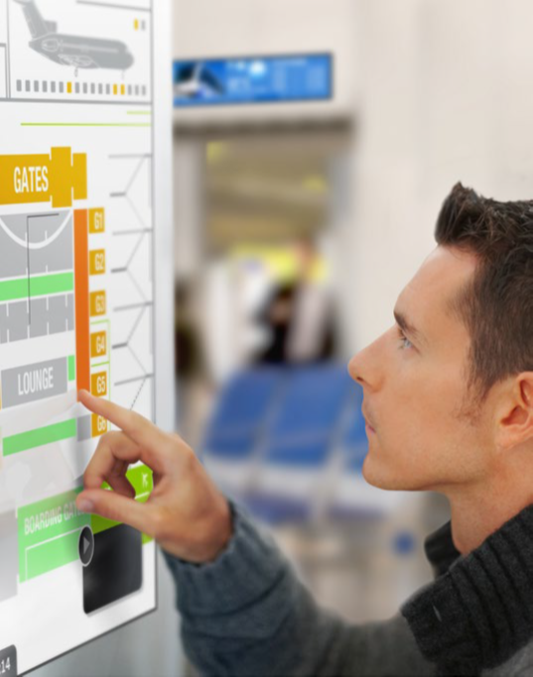 Our innovative solutions especially designed for the airports, help ensure that airports are one step ahead of the travelers’ needs and expectations. 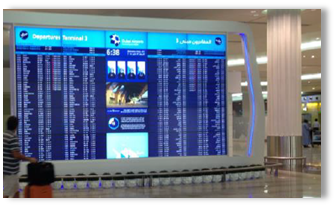 Together with its strategic partner NEC, the Japanese technology giant, Mellon is bringing to its clients 14 years of delivering LCD to airports, more than 230 successful implementations in international airports and more than 70,000 display installations. 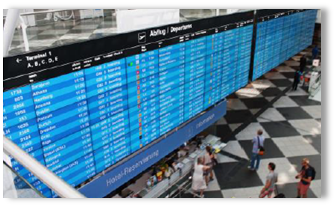 NEC's FIDS is a comprehensive system for the display of flight-related information benefiting travelers, airline staff, and others in airports. 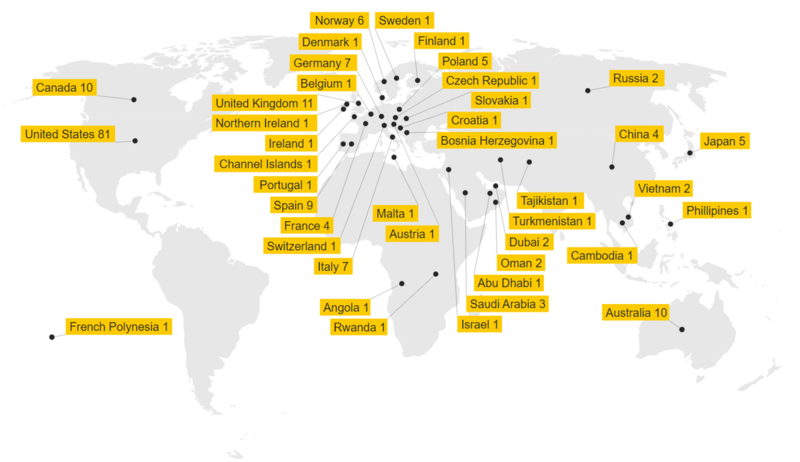 Its advanced, wide-ranging features include system architecture built on NEC's open mission-critical system (OMCS) and the flight information display system (FIDS) used at Japan’s Narita International Airport, New Chitose Airport, Sendai Airport, Nagoya Airport, and elsewhere. NEC's mobile info kiosks that improve passenger experience and increase airport revenue streams. Based on the latest touch technology, these displays deliver true multi-touch support with fast response times and a high level of accuracy. 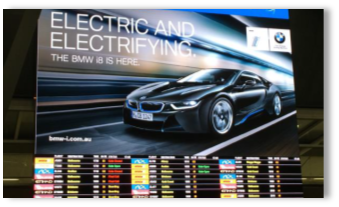 All NEC interactive displays are plug & play, without the need to install any external driver software. Thanks to an anti-reflective coating, reflections are reduced to a minimum which significantly increases the readability of the content shown. 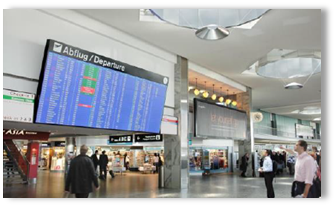 While all the means of transportation melt to a holistic transportation system, digital signage is gaining importance. 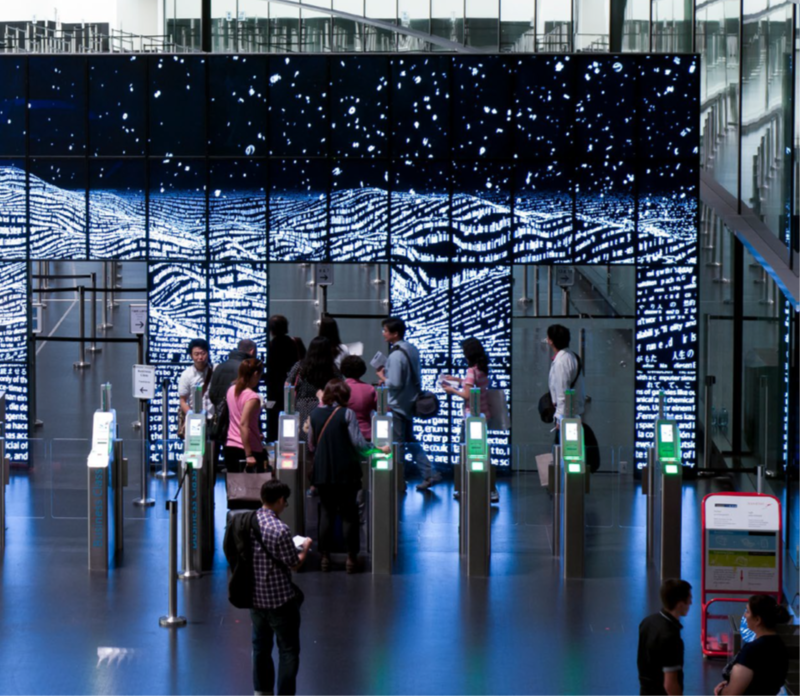 Digital surfaces are trending the scene and mediatecture is the new catchphrase among airport architects. Digital spaces will no longer follow the building, but will be included in the planning at a very early stage already. 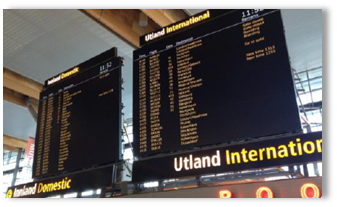 In this way, the seamless integration of digital signage into the construction is guaranteed. 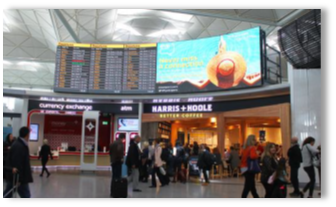 With the trend for larger and brighter airport buildings aiming at delivering an improved experience and providing a more comfortable and modern environment, comes the challenge of getting clear and dynamic messaging over to an ever increasing number of tech-savvy passengers. NEC’s solution NeoFace WATCH is the most accurate and fastest face recognition platform available. NeoFace helps reduce the risk of security threats by integrating face matching technlology with video surveillance input while is checking individuals against known photographic lists and producing real time alerts. With its proven ability to match low resolution facial images, including images with resolutions down to just 24 pixels between the eyes, NEC’s NeoFace technology outperforms all other face recognition systems in matching accuracy. It is unobtrusive and requires no operator interaction. The application can be easily customized and integrated into existing surveillance systems and operational processes. NEC's highly accurate and scalable NeoFace facial recognition technologies enable NeoFace Express to eliminate long queues and improve customer experiences by quickly verifying identities and authenticating membership prior to admittance. 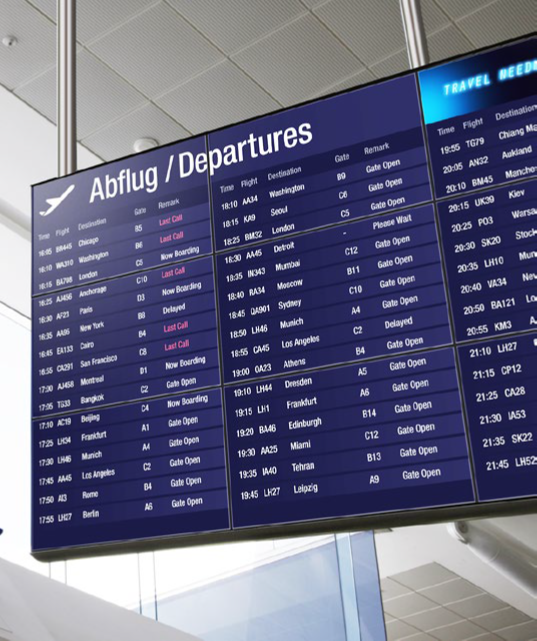 NEC Bio-FAST is an identity management system allowing airline passenger systems, airport control procedures and immigration clearance to come together in a simplified regulatory process. Bio-FAST provides the ultimate solution at critical travel points; Integrated Biometric Clearance (IBC) for automated immigration check and Self Boarding Gate (SBG) for automated boarding. In combination with biometric ID cards and e-passports, NEC's border control solutions empower border security to monitor and protect their borders better. The solution enhances user experience by simplifying the process for passengers, as well as increases terminal throughput by up to 15% per annum. NEC's eGate automated bi-directional boarding gate utilizes NeoFace, NEC's facial recognition technology, and its fingerprint recognition technologies to monitor people entering and exiting a facility or areas within the facility. NeoFace can match face images regardless of the vantage point or changes in appearance, such as hats, glasses, facial hair or expression. Cloud Platform for IaaS supports new applications and equipment consolidation to maximize efficiency, reduce TCO. 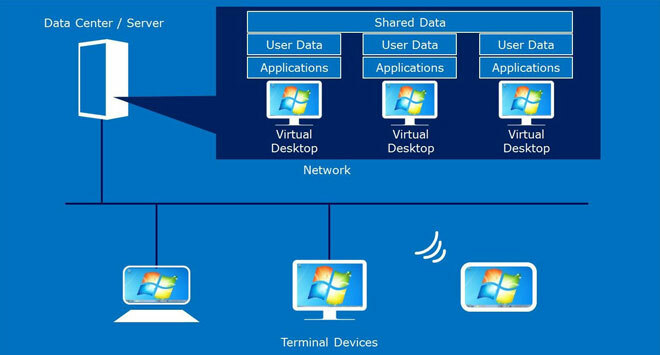 NEC with its unique capabilities, provides complete IT infrastructure stack, including networks, servers and storage with open standard cloud manner. An Open Source Software based, turn-key solution for Private Cloud. The enterprise model is a powerful and highly efficient private cloud infrastructure for those who want to have a system growth up to a substantial scale, and high availability to ensure business continuity. The Light model is a compact private cloud infrastructure for those who want to minimize the investment cost. Quick deployment: Pre-designed and pre-validated configuration which can be deployed quickly results in reduced TCO. Easy expansion: Scale-out can be made by adding Compute and Storage node without stopping active Virtual Machine. Integrated operation: Dashboard provides integrated operation both for system resource management and for IaaS self service by user-friendly manner.